Pneumadyne’s compact cartridge valves are ideal for use in pneumatic systems where space is limited. Designed to connect to air passages machined into manifolds or valve blocks, our pneumatic cartridge eliminate the need for external plumbing to save space and reduce the possibility of leaks. 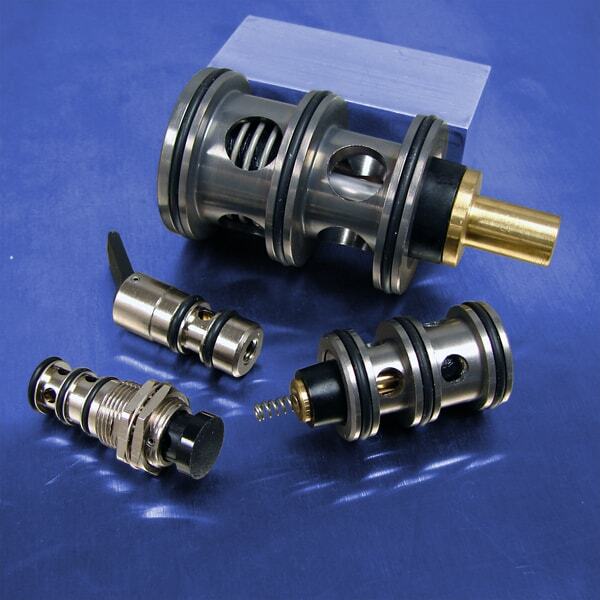 We manufacture 2-way normally closed cartridge valves and 3-way normally closed cartridge valves, with multiple styles, actuator options, and sizes available to fit your needs. Our pneumatic cartridge valves are suitable for vacuum applications to 26” Hg and can accommodate flow rates from 10 scfm to 33 scfm at 125 psi. See individual product listings for additional information and specifications. Pneumadyne manufactures compact pneumatic cartridge valves for all compressed air or inert gas applications. Request a quote or contact us for the cartridge valves you need.